One of England’s oldest and most exciting epic stories, brilliantly retold by the author of War Horse. Beowulf is the gripping tale of a Scandinavian warrior who defeats three terrible monsters. First he saves the land of the Danes from a merciless ogre named Grendel. His trials are not over, for next he must defend his home from an evil sea-hag. But in his third terrible battle, facing the death-dragon of the deep, our great hero truly meets his match. 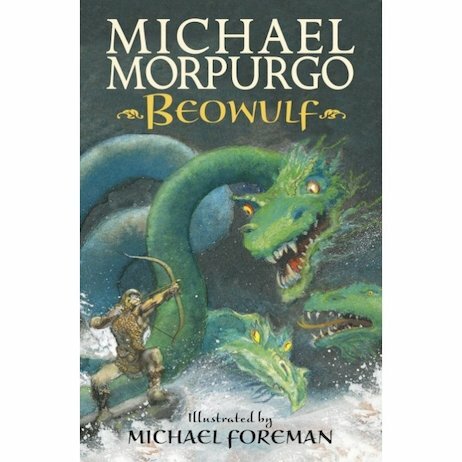 If you want to experience what courage really is, Beowulf is the place to start.